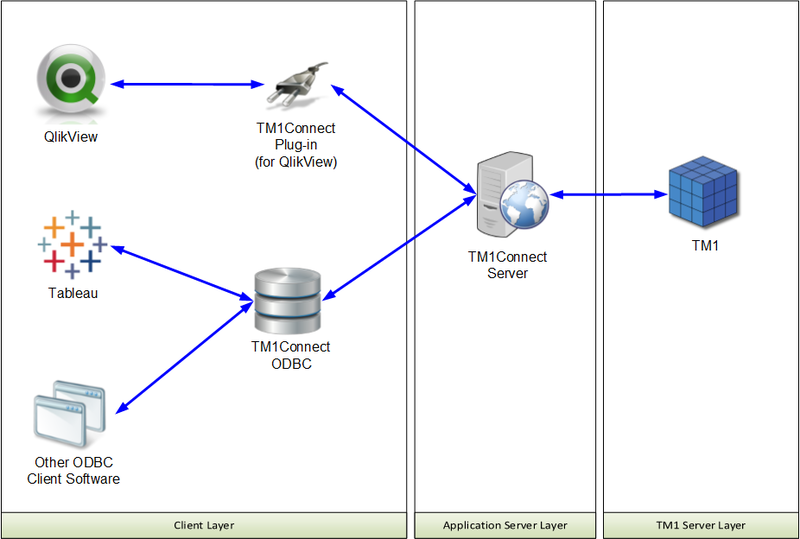 TM1Connect is a middle-tier application that provides translation services of multi-dimensional data stored in IBM Cognos TM1, into a format readily consumed by tabular or relational style applications, such as QlikView, Tableau or any other ODBC compliant software such as Microsoft Access or Microsoft Excel. TM1Connect understands cubes, dimensions, hierarchies, and attributes to quickly and easily transfer both data and metadata into a record-style format that many applications natively support. Details on each of these modes and best practices regarding their usage, can be found in the TM1Connect QuickStart Guides.